The RDP Smart•Set 2000 press control system is designed to control all press functions (including set-ups without web movement) on easy-to-read, easy-to-use touch screen graphic displays accessible from both the main console and individual print units. 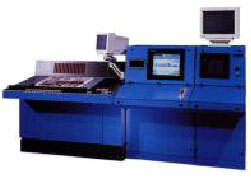 The system provides modem interface for remote systems diagnostics as well as job storage and retrieval. It integrates seamlessly with management software and supports digital workflow protocols including CIP4.